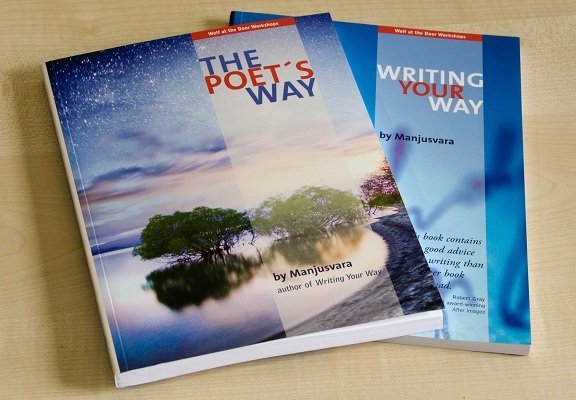 Manjusvara, author of Writing Your Way and The Poet’s Way would have been 60 this month so we’ve decided to dedicate it to celebrating his life and all that he created. Manjusvara co-led Wolf at The Door writing workshops from 1997 until his death in 2011, and his two guides to creative writing, Writing Your Way (published in 2005) and The Poet’s Way (published in 2010), emerged from this work. This month, two previously unpublished works by Manjusvara are also being released: Lost and Found, a collection of his poems, and a detective novel, The Deal Runner. Over the next few weeks we’re going to share excerpts from Manjusvara’s books and tributes from his colleagues and friends, and we’d like to encourage you to contribute as well. Perhaps you have a favourite poem of Manjusvara’s or a memory that you’d like to share with us? We’d love to hear from you.